…with this amazing arty fashion mag. 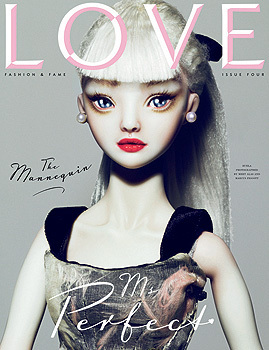 The September issue comes with a choice of covers featuring some of the worlds most beautiful women (and a mannequin!) My personal favourite is this one featuring Rosie Huntington Whiteley as a curvaceous pin-up girls. Fabulous!